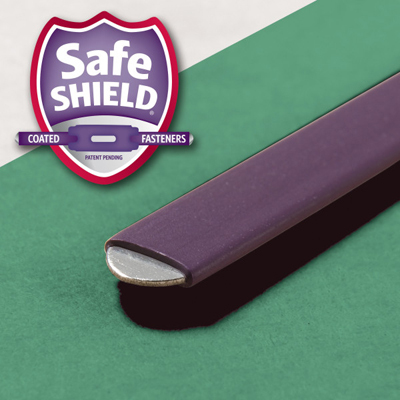 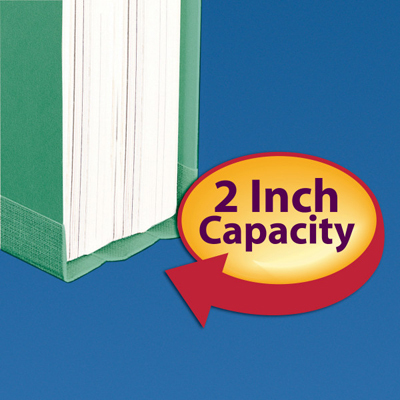 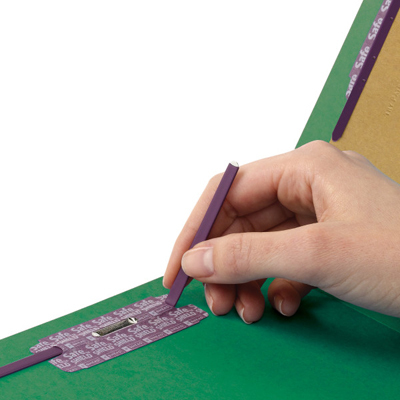 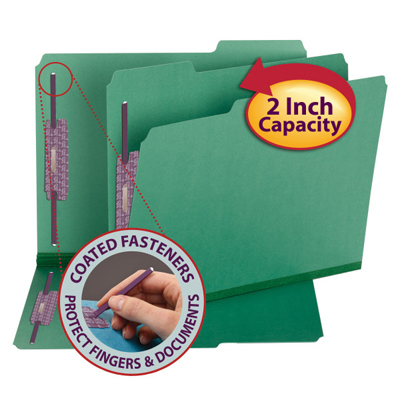 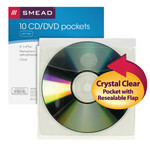 Protect your documents and fingers with Smead's patented SafeSHIELD® Coated Fastener Technology--the ultimate solution to fastener issues, including paper tears, finger cuts and excessive fastener crinkling. 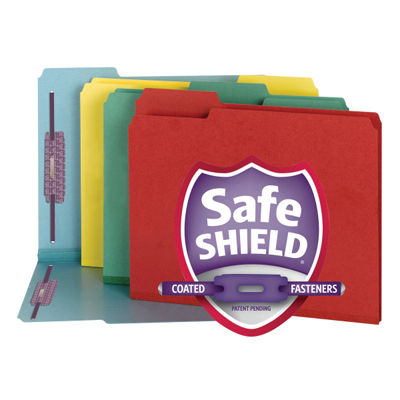 All the advantages of our tough pressboard with the added feature of color. 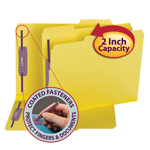 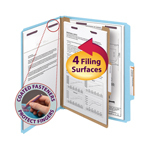 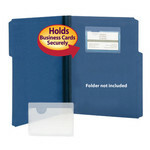 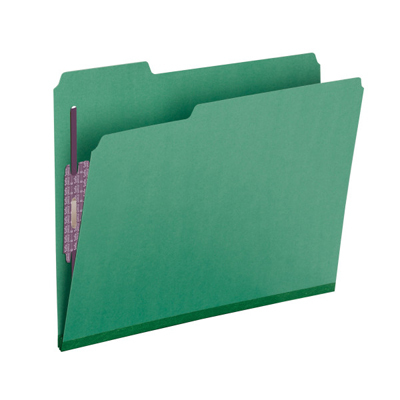 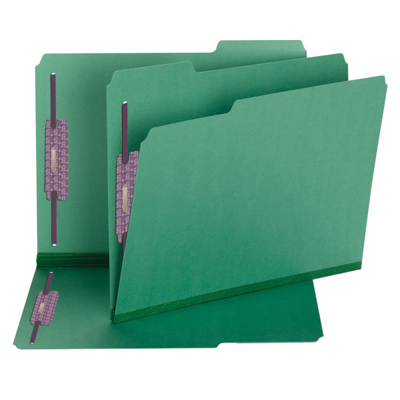 Installed fasteners hold papers securely inside folders and prevent papers from falling out or getting lost.